Whew. 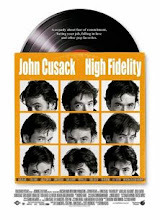 After spending so much time and energy last week stewarding the coverage of the tenth anniversary of the 2000 film High Fidelity, I need a vacation. Well, if not that, at least an off duty day. 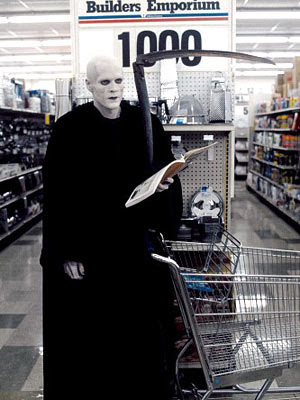 So, for the time being, content yourself with the above image of the Grim Reaper facing that hell of hells, the consumer hardware store. The image, of course, is from the 1991 film, Bill & Ted's Bogus Journey, a flick that I'll surely get around to revisiting here some fateful day.